The Lighthouse Farm Lodge & Backpackers is situated in the : Oude Molen Eco Village – A Beautiful site on the last remaining farmland in Central Cape Town. 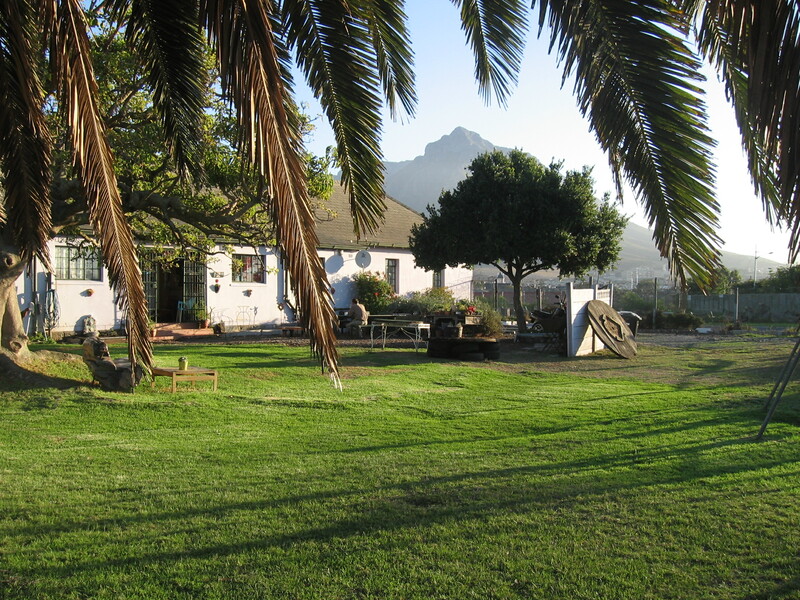 Enjoy a taste of farm style living, with open fields and rivers, spectacular views of The Table Mountain Range and breath taking sunsets Devil’s Peak and Lion’s Head from the front door. The Cape Town City Center is just 10 minutes drive away or easily accessible by train. The Local supermarket is within walking distance. A splendid exhibition of Green Energy, a sense of community, urban agriculture and recreation make us the ultimate work/live/play combination. We have Jets a local shop on site and The Millstone, Farm Stall & Tea garden, for Breakfasts Lunches and afternoon Tea & Cake. Because we are a Backpackers and Hostel type Lodge with 3 stars, a place to put your head and goods while you explore Cape Town. This does not make us a 3 star Hotel. We are finding that some South Africans have the wrong idea, especially those from Johannesburg, thinking we are a Hotel and we are not. 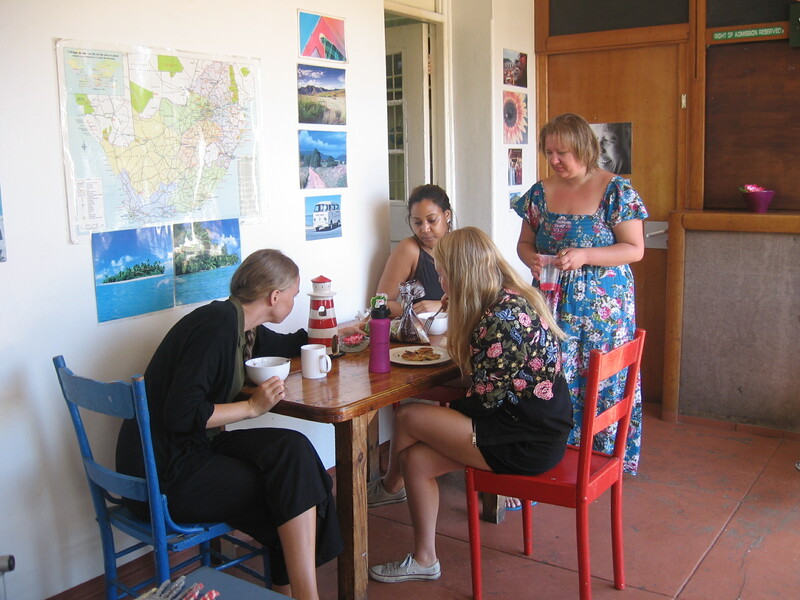 WE ARE basic accommodation for Backpacking and Hosteling only. Self catering, simple accommodation with shared services. Not a Hotel. As such please be careful to note this and book us for what we are, not what you think we are without doing your homework. This understanding gives us beautiful remarks and happy customers. Misunderstanding this gives us bad remarks from people that don’t know the difference, especially from first time travelers. Humble and Friendly. The Backpackers offers a ‘Home Away from Home Feeling”, where guests become like family. Whether its a peaceful weekend get-away you’re after. Or a full on Backpackers experience . You can get it here. We have cosy and affordable, self catering Dorm Rooms, as well as comfortable Double Rooms & Family units available. A range of Facilities and Local Attractions will make your stay something to write home about.